Save an extra CDN$ 14.52 (40%). Buy the Kindle Edition instead. Bradt’s Paraguay was the first stand-alone guide to Paraguay published outside of Paraguay itself and still remains the most comprehensive guide available, covering the whole country from the best-known sights to off-the-beaten track attractions well beyond the tourist trail, plus a cross-border excursion to the Iguazú Falls.This new edition has been thoroughly updated to reflect all the most recent changes, including new themed tourist trails such as the Ruta Jesuítica Multidestino (Jesuit-Guaraní missions) and Ruta de la Caña Paraguaya (Paraguayan rum). Also covered are new luxury hotels for international events, and the increase in number of flights into Asunción. Of particular note is the dramatic increase in 'posadas' around the country: small, reasonably-priced, government-vetted guest houses in private homes, the number of which has increased significantly.Bradt’s Paraguay offers all the background information required for a successful trip, from customs and etiquette to curious snippets such as the fact that football is believed to have been invented here in the Jesuit missions in 1793 in a game that corresponds to the game known today. 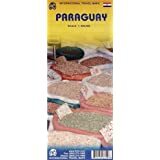 Nature and wildlife are also covered, from the Pantanal in the north to the wetlands of Ñeembucú to the south, and to the Mbaracayu reserve to the east.Immensely detailed, Bradt’s Paraguay is written by a well-established journalist who has lived in the country for almost 20 years, who runs an educational charity and who has founded a small hotel which offers tours around Paraguay and is run for the profit of local people. With everything from phone numbers of local keyholders to museums and churches to a map of how to reach remote waterfalls, Bradt’s Paraguay is the definitive source for a rewarding trip. 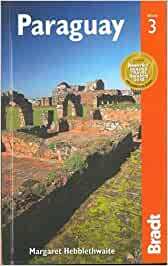 Start reading Paraguay (Bradt Travel Guides) on your Kindle in under a minute. 5.0 out of 5 starsHumorous and up to date! It had been a really long time since I'd been to Paraguay so I bought the book to see what was new and where to take my nephew. The book is very clever and fun with lots of great information. Even the road condition are up to date!